We’ve already introduced you to Austria’s capital city Vienna. But besides Vienna, the cultural and economical center of Austria, there are many other cities and towns easily reachable from Vienna via bus, train or airplane. Beautiful cities like Salzburg, Linz, Graz, Innsbruck and Hallstatt are a great way for you to explore Austria’s many different facets! You should definitely plan a trip to Salzburg, where not only you would be in Mozart’s hometown but you would also be able to eat as many Mozartkugeln as you desire. The Mozartkugel is a very famous Austrian praline, filled with marzipan and pistachio cream. While you’re in Salzburg we recommend you to pay a visit to Austria’s most visited sight: Mozart’s birth house! It is located at the Getreidegasse and has been renovated into a museum. 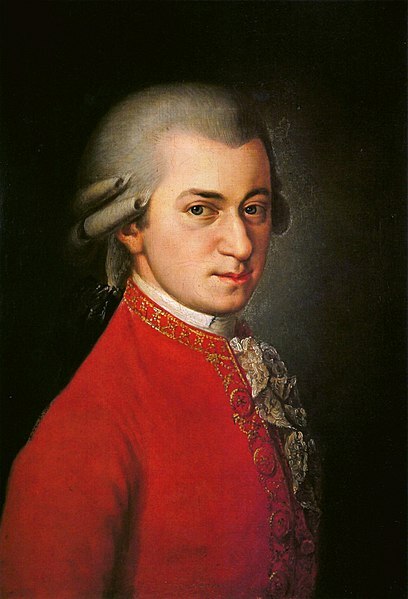 Instruments, portraits and certificates formerly belonging to Mozart himself await you there. In addition, there’s another house Mozart’s family moved into later in his life, also in Salzburg, which will take you through Mozart’s following life stages. If you consider yourself an enthusiastic sight-seeer but appreciate adventures as well, you need to visit Festung Hohensalzburg. It’s a medieval castle on a hill, that is reachable through a cable railway! It is considered the biggest entirely obtained castle in the area of Central Europe. For nature lovers Salzburg offers the Zoo of Salzburg and the Haus der Natur a.k.a. House of Nature. Children will appreciate the Spielzeugmuseum a.k.a. Museum of toys. By Car: Take the A1 freeway from Vienna to Salzburg in 3 to 4 hours. By Train: You will find many offers from ÖBB. It takes about 2h and 30min from Vienna to Salzburg. Legend says the Linzer tart is the oldest tart in the world! The Linzer tart is an almond tart that you can order in a lot of coffee shops in Austria, especially in Linz. The Linzer tart is very famous among tourists as well as locals, which says a lot since Austria is famous for its delicious Bakery products and Patisserie. Linz is famous for its romantic atmosphere, which you will strongly feel at the Mariendom – the biggest church in Austria. There you can get a guided tour through the church halls. Of you can also explore the church on your own. Let us assure you that you will be mesmerized by the colored church windows. Last but not least, don’t miss a stroll through Linz’s old town! It is a relaxed area with a lot of small shops and restaurants. For an amazing view of the city, visit the castle museum and it’s beautiful terrace. By Car: Take the freeway A1 or the A22 with the A1 from Vienna. It’ll take about 2h 30min. By Train: The ÖBB will take you from Vienna to Linz in a matter of 1h 15min. You can’t possibly be in a bad mood while visiting Graz! Well, how can you in a city that is built around an impossibly beautiful green hill with a mesmerizing bell tower at the top? Even though Graz is the second largest city in Austria after Vienna, there is something about it that’ll make you feel like you’ve landed in fairy-tale-like town, where everyone is happy and relaxed. Maybe that is because of its small alleys and beautiful buildings built in the 19th century, or maybe it’s because of the relaxed joggers running along the Mur river. In Graz you will experience a combination of culture, sights, nature and nightlife. A visit to Graz’s Opera and the Mausoleum is a must for culture-lovers! For an authentic experience go the Kaiser Josef square market on a sunny morning: you will fall in love with all the flower, fruit and vegetable stands. In the outer corners of the city you will also find many shopping centers, like the Murpark or Seiersberg, if shopping’s one of your hobbies. By Car: Take the freeway Wechsel or Semmering and you’ll arrive in 2h 30min. By Train: the ÖBB will get you there in the same amount of time like the car. Innsbruck was known for being the favorite city of Emperor Maximilian I. He therefore also built the infamous Goldene Dachl, which is a building covered with 2500 golden shingles. Today the museum inside the Goldene Dachl is dedicated to Maximilian I. and it shows his importance to Europe. The Kaiserliche Hofkirche was built on his account as well, as he wanted to create a power-symbol for the Habsburgs. He obviously achieved what he’d intended, hence people all over the world come visit it every year. It’s peculiarities are: the Statue of the Kneeling Emperor, the Emperor’s Sarcophagus and the Renaissance Organ. If you want to breathe in the city’s flair in a more comfortable way, go to the Maria-Theresien street and relax in one of the many cafés decorating the street. The street, which in the past was inhabited only by the noble, shows signs of wealth and nobility through its marvellous 700-year-old baroque houses. Architecture lovers, however, will also find modern buildings to fit their taste. Of course shoppers will love the Maria-Theresien street as well. By Car: Take the freeway A1 or the A2 with the A8 and you’ll be there in 5 to 6 hours. By Train: In 4 to 5 hours you will be at the Innsbruck Central Station. Being in Hallstatt is like being in a postcard. 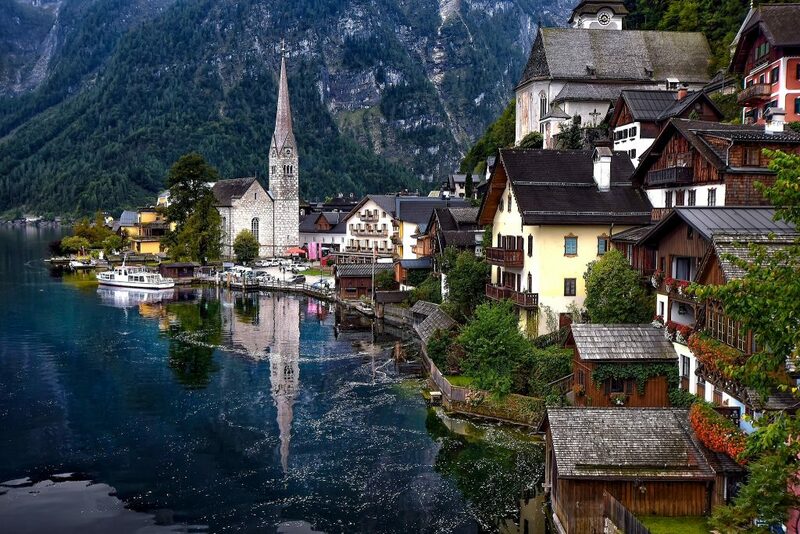 Hallstatt is one of those places you must have seen before you die. Doesn’t matter if you go there when it’s snow-covered in the winter or if you go when it’s sun-lit in the summer: a photo is a must! An interesting sight in Hallstatt is the Evangelic Church of Hallstatt, which is standing right in the center of the city since 1863. If you want to feel nature-bound you need to go down to the Hallstädter-lake. There you can take a tour with a boat or you can just lie down on the shore. Because of the possibility to rent bikes and pedalo-boats, you have the opportunity to combine nature with sports. By Car: You’ll be there in 3 hours, when taking the A1 freeway. By Train: The ÖBB gets you there in about 4 hours. Looking for a weekend trip away in Austria? Here are some links to get you started!